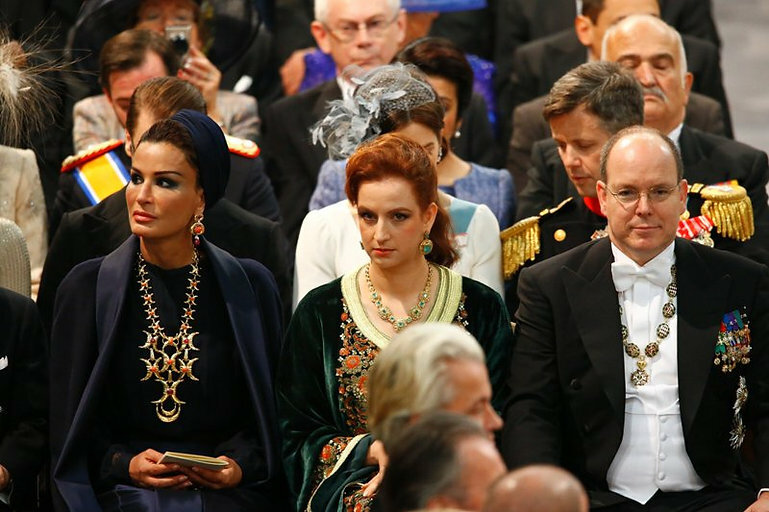 The Muslim royal families are working closely with the European royal families and Black Nobility. The Muslim royalty intermarried with many royal and noble families after the Moorish invasion around 700 AD. The royal families that came in with the Moors settled in Spain, Portugal and Italy as well as smaller groups in France and Germany. Joseph Ratzinger has a Moor on his papal coat of arms. 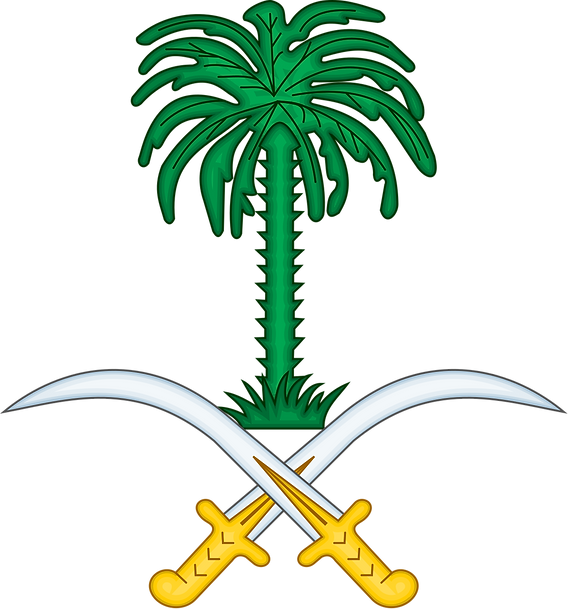 The British Crown established the Kingdom of Saudi Arabia through the Treaty of Darin and then fully through the Treaty of Jeddah. During WWI the European nations conquered over most of the Mid East and North Africa and then later put into power the royalty which also run the oil fields. Former King Fahd and former King Abdullah were Knights of the British Empire. France and Spain conquered Morocco before granting it independence with the House of Alawite as the reigning monarchs. King Mohammed VI of Morocco is a Knight of the British Empire, French Knight of the Legion of Honour, and Knight of three different Spanish orders. The British Crown conquered Bahrain and secured the House of Khalifa as its rulers while going into oil contracts with companies in Bahrain. Several members of the Khalifa royal family went to school in the United Kingdom. The British Crown conquered the land now called the United Arab Emirate States and established mining and oil industries there before handing the land over to the Al Nahyan family and they are believed to be worth about 150 billion. They own the Abu Dhabi Investment Authority which is worth over 1.3 trillion in assets. British Petroleum formerly Anglo-Persian Oil Company and the French Total petroleum company went into contract with the oil miners in Abu Dhabi. The House of Grosvenor are one of the most powerful and wealthiest families in the United Kingdom and own properties and hotels all over the world. The Grosvenor House in Dubai is named after them and officially owned by the mega billionaire Ahmed bin Saeed Al Maktoum. Ahmed bin Saeed Al Maktoum has an honorary degree from the University of London and is likely in business contracts with the Grosvenor family which is why he named his building after them. Sultan Ahmed bin Sulayem is the CEO of DP World which bought the British P&O ports and shipping company for about 6 billion. George Walker Bush approved the sale of US ports in New York, New Jersey, Philadelphia, Baltimore, New Orleans, and Miami to DP World and they then sold it to American International Group (AIG). DP World was already running these ports before the sale and likely have influences there even after reselling them to AIG. The Saudi Prince Khalid bin Bandar bin Sultan Al Saud is married to Lucy Caroline Cuthbert and she is the niece of Ralph Percy the Duke of Northumberland. Ralph Percy’s son George Percy went to the University of Damascus, speaks Arabic, and did business in Abu Dhabi. George Percy is the CEO of Hotspur Geothermal which does oil drilling in Africa. King Mohammed VI of Morocco is worth about 6 billion and has major shares in Moroccan companies that are in contract with many European companies. King Mohammed VI has also been exposed for high level corruption involved in business and politics. Khalid bin Faisal Al Saud is the Governor of Mecca and is close friends with Prince Charles. 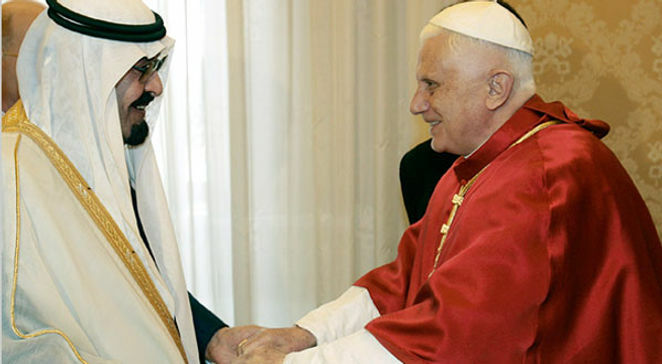 Khalid bin Faisal Al Saud is also a Knight of the Order of Francis I under the Italian House of Bourbon-Two Sicilies with Prince Carlo the Duke of Castro as the sovereign head. A close relative of the Duke of Castro; Prince Carlos of Bourbon-Parma is a member of the Dutch royal family through his mother Princess Irene of the Netherlands and worked for the ABN AMRO Bank. The House of Orange-Nassua established the Netherlands Trading Society which later established ABN AMRO Bank and ABN AMRO partly owns Saudi Hollandi Bank of Saudi Arabia. The Kingdom of Jordan was established by the United Kingdom through the British Mandate for Palestine and then fully through the Treaty of London of 1946 which appointed the House of Hashemite as the reigning monarchs. King Abdullah II of Jordan is a member of the British Army and also went to the Jesuit University of Georgetown in Washington DC. King Abduallah II is a knight of various military orders including in Italy and in the United Kingdom. The House of Thani in Qatar and Hamad bin Jassim bin Jaber Al Thani run several banks in Luxembourg through Precision Capital. Luxembourg uses private banking like in Switzerland which enables money laundering and tax evasion. Hamad bin Jassim bin Jaber Al Thani and his company went into contract with BAE Systems in New Jersey and their accounts were froze for an investigation into money laundering. Hamad paid off the Jersey officials with 6 million and they then dropped their investigation. Emir Tamim bin Hamad Al Thani is an Italian Knight of the Order of Merit and French Knight of the Legion of Honour. The Getty family who own Getty Oil purchased oil fields from the House of Saud and this made them one of the wealthiest families in the United States for a period of time. The Getty family are also intermarried with the Italian Ruspoli family today. The various royal families in the Mid East have an accumulation of hundreds of billions of dollars and are working closely with the European royal families who put them into power in their regions. Many of the Islamic royal families do business at the City of London Corporation and are in contracts with companies owned by the royal families like British Petroleum and Royal Dutch Shell. The royal families of Europe use the Mid Eastern royal families as financiers for their agendas as part of their contracts for being allowed to be wealthy and rule their nations. They have some authority over the Shriner Freemasons, Five Percenters, and Nation of Islam. They use their wealth to fund these organizations and other secret societies like Wiccan cults. They have an Arab Mafia headquartered in New Jersey and have infiltrated the ports in the United States. Islamic royal families include the House of Saud, House of Alawite, House of Khalifa, House of Thani, House of Hashemite, and Sulayem family as well as others. These families are extremely predatory and are targeting people from other nations. 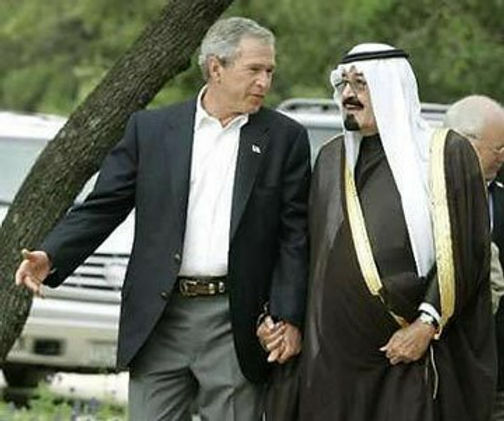 The House of Saud are extremely fascist and oppress their own people. Many of the Mid Eastern royal families are tyrannical and oppressive. They rule their nations sovereignly in most cases however they ultimately serve the Black Nobility and European royal families. Bashar Al-Assad with Juan Carlos of Spain. Al-Assad is serving the Black Nobility and Spanish Crown and their intention is destabilizing Syria so that the organized crime like Russian gansters operating in Turkey, Syria, and Jordan along with Islamic paramilitary groups can control Route M5 which leads right into Israel. Aleppo is right on Route M5 and the reason both the United States and Russia have bombed Aleppo is to gain control over Route M5.